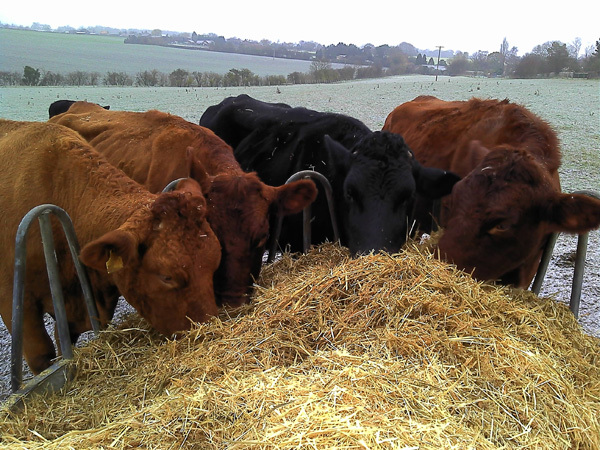 With the onset of the colder weather our cattle that are outside need some extra food to supplement the grass. They get a mixture of barley straw and wholecrop silage. When the turkeys are all out of the yards in mid December the cattle will come inside for the winter.